You crafted your first item. This is the very first achievement you will obtain as well. This achievement is unlocked as soon as you reach Dite, your main base of operation (or to be more precise, the achievement should pop up as soon as MGSurvive logo appears). This one should pop up after talking with Reeve a certain person you've just met. This achievement will pop up the first time you use Skill Trainer. Finish your first mission. Just listen to Virgil, he (she) will guide you to the location and tell you what to do and how to do. If you played Metal Gear Solid V: The Phantom Pain , you should be familiar with this type of missions. After going inside the dust, locate the nurse Miranda . This one shouldn't be too hard, considering she will be located near a crashed vehicle on a bit elevated rock, you should be in able to destroy wanderers from above. Once you do so, proceed to the nearby wormhole transporter. If you killed the surrounding wanderers, this should be really easy since there will be 3 or 4 wanderers who will actually come. Note: Please, for the love of God... Do! Not! Approach! The! Huge! Enemy! Please... just don't. The thing is enormous, it's legs are more than enough to kill you. He deals AoE when he's walking so... just stay away, okay? I learned the hard way. You will have a bit of "tower defence" in your base during this mission. Unfortunately for you, everything you've built (with the exception being immovable objects such as transporter or Vergil) can be destroyed. Destroyed stuff can't be repaired and you will have to rebuild anything which was destroyed. My suggestion is to build a layer of normal fence around your base and put Heavy Machine Gun Type M on each side. Note that HMG M. has only 120 rounds and it requires Advanced Gadgets Workbench. Once the first drilling session has failed, you will be required to drill Iris in the area a bit distant from the base. This one might prove a bit more challenging since you won't have any workshops nearby, so you better be ready. Bring molotovs, fences and most importantly food. 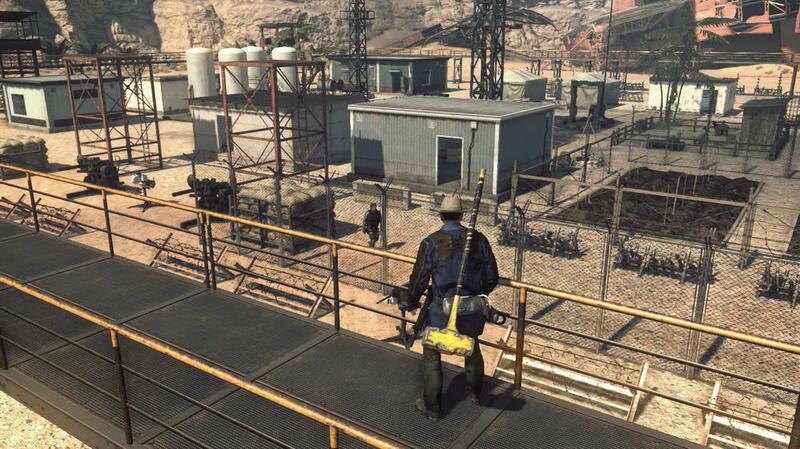 Some of you might recgonize this outpost from MGSV TPP, it's name is Da Shago Kallai. The mission is pretty straight forward, just like The Nurse. Find the boy Chris or if you prefer (Heavy spoiler): Goodluck. This mission will most likely be the first "wall" in the game for most of the people who've yet to realize melee weapons aren't useful in singleplayer for bashing multiple wanderers. This mission requires to go reaaally far away from base (hopefully, you enabled transporter during the mission "The Boy"). Even then, it's about 500 meters away so it's a long trip. Take food supplies, fix your air conditioner, get yourself a pistol, lots of molotovs and pray before doing anything. In short, just like with "The Boy", you are meant to find the transporter and rescue a cop Nicholas . The safest approach: Unlike previous salvations, Nicholas the cop won't be inside of dust, making it a little bit easier, knowing full well you will not have to watch out for his HP. Unfortunately for you, this area has so many wanderers you will question yourself why are you still here? Just to suffer? Yeah, pretty much you are. The first thing you should do is find a safe, distant place for our cop to rest. What you should do is, drop Nicholas as far as possible (make sure you kill wolves first) , approach the horde of wanderers and purge them all before starting the transporter. Your safest bet would be climbing the rock near the base, it is low enough for you to be in able to strike wanderers' heads and yet high enough so you can't get hit. You can draw their attention by purposely letting one of them see you, then just wait for fellas to group up. This is the best moment to use molotovs, since they spread like the plague. Try not to use fence because you will need it for wormhole transporter. Once you manage to kill all the wanderers, boot up the wormhole transporter. Fortunately for you, only nearby wanderers from inside the dust will come, so it will be around 20 in total (if my counting was on point). Once you successfully protected the transporter, grab the cop and go back to base. Achievement should pop up after the cutscene in which he thanks you. This is yet another tower defence mission. Just like the previous one, you should get some fences and molotovs. This one is much easier in my opinion, since it isn't far away from transporter and enemies are about as strong as during the last defence. This area is called Da Wialo Kallai. As I mentioned before, you are required to expand your base to progress further in the game. Beware, once you expand the base, you will have to move fences (if you had some to begin with, since boundaries are expanded) to free additional space. You should also destroy any ruined debris (this will give you some materials as well. You can also remove some debris outside of buildable zone, so be sure to check out what's within the range). Once you finish renovating base, make sure to add some defences for you'll have yet another base invasion. Once you have succesfully escaped an enemy Lord of Dust , you will be transported into a new area. hah nice try, no mother base for you. this place is Africa from MGSV TPP . Located a certain "giant" Sahelanthropus . For now, locating him is enough, make sure to enable both wormhole transporter next to it and one a bit further to the east. Perhaps you should go for the eastern one first, considering it's much easier to reach western from the southern than vice versa. This mission is bull...sheet. You will have to recover "the giant" Sahelanthropus by protecting it for 15:30. Yes, you've read it correctly, 15 minutes and 30 seconds. And no, there is no "trick", there is no "catch" or some other prank to avoid it. You literally need to keep on protecting it for a quarter of an hour. No rests inbetween, enemy forces are really aggressive. This one is the second game wall. Regardless the requirement, the mission is straight forward. Protect the drill while it collects enough energy to wormhole the giant. Healing spray (you will most likely be in able to finish with one or two, I've done it without one) What you would like to do is put down 2 normal fences to poke with spear, one wooden to keep enemies occupied, place down a single machine gun and keep enemies at bay. "What about other fences?" - it's simple, barricade the drill with them. You should be playing around aggressive af until mortars and trackers appear. Once they appear, run behind a rock, place down guns and kill approaching enemies. Mortars should never come to your location, however their bombs will slowly tear down wall barriers you have placed to protect the drill. What you should do is simply kill smaller wanderers with machine guns or use mortars (placeable) if they are in bigger groups. Mortars (enemies) will deal damage to fellow wanderers, so keep fingers crossed that they'll kill Bombers. Backstab those so they don't blow up your fences. This mission requires you to save Chris and this will also be your first "boss fight". No need for special preparations, Seth is weak . The enemy is pretty much a common Mortar with a bit higher damage output and HP. Take a note that he can not be backstabbed. The achievement should pop up once you finish the fight. Missable! This is so far the only missable achievement. During the preparations to fight Lord of Dust, you will send Chris into the wormhole. After the cutscene is finished, instead of going to protect the traps, you should go to the wormhole (near the edge at the very top). This will trigger a cutscene and an alternative ending. Spoilers about ending: This ending will show Captain going back to his timeline in which he will find himself in a desert. He will be walking similar to puppets from MGSV TPP, or to be more precise, he will be a "Wandering Mother Base soldier" from side ops. [/b] - this is also considered a bad ending. You will have yet another huge tower defence in front of you. You can make it with the same equipment you used during Sahelanthropus rescue mission. Keep in mind that unlike the previous tower defences, this time there isn't a time limit (at least a visible one) and it is believed that kill counts are what matters in this mission. At the moment numbers are unknown, but my approximation is that the first wave requires 100 kills, the second one requires 150 kills while the third one requires 200-250 kills. Make sure you have loads of ammo! The achievement should appear once the battle ends Virgil and Lord of Dust get blasted with the railgun. In theory, this is the last *story* mission. There isn't really much of the story in this one at all, other than the fact that you are required to go really far away from the nearest teleporter nearby Code Talker's house and reach a small ruined village to retrieve some data. In order to unlock this mission, you will have to destroy Lord of Dust first. Once that's done, you will have to do two missions. First one of them is establishing digging of Iris at base, which will be a 5:30 long survival at base. Beware of Trackers who will damage your base seriously if you aren't cautious. Once the digging is done, there will be a rescue mission of a target on a small bridge. He is really close to transporter so it's no biggie. After the rescue, this mission becomes available. 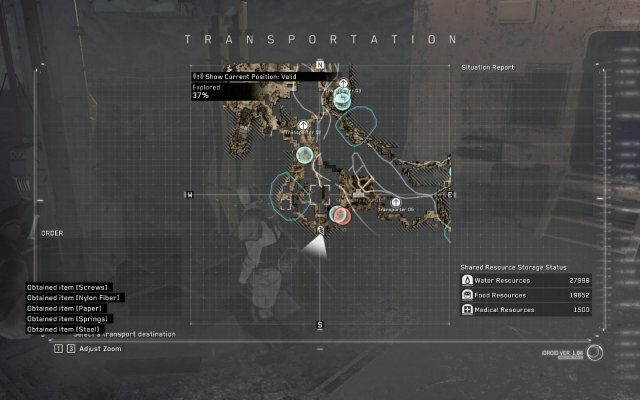 Make sure you grab Walker Gear near Code Talker's house because the area is more than crowded with enemies, it's ridiculously hard even with W/Gear. I would recommend going back by using "Return to base camp" option from pause menu because going back is a suicide. Once you share the data with Virgil, she will tell you that you've unlocked subclasses. This is actually really cool if you want to explore other playstyles and use new techniques. Keep in mind you will need a lot of KUB. These are missions obviously done by playing Co-Op and no other means. I would just like to suggest doing weapons-related achievements together with co-op missions because it's the easiest to obtain weapon-related ones on Salvage missions (easy). Finish your first co-op mission. Difficulty doesn't matter at all. During salvage missions, revive 30 allies. Doesn't have to be in a single mission obviously. Complete 50 salvage missions, pretty much self explaining. Finish every salvage mission. This means you will have to do all easy (2), medium (3) and hard (5) missions, surving all waves. Be the MVP in 30 salvage mission. Note that the mission must be success, therefore you can't go with premade team and finish after a single wave. These are the easiest to finish in co-op mode, salvage missions - Easy. Each one of these will also give you a unique nameplate. This is the most common weapon-related achievement. Make 300 kills with a piercing weapon. Make 300 kills with a bow. Note: Fire arrows are currently bugged, after igniting the enemy with fire arrow, some of the kills will count as bow kill while others will count as a gun kill. Recommended to use heavy and normal arrows. Make 300 kills with interceptor units. Interceptor units are Heavy Machine Gun Type M and Mortar. Note: Turret also classifies as an interceptor, however he has a serperate achievement. Make 300 kills with two handed weapons. Don't let the icon confuse you, you can use a bat as well. Make 300 kills with a heavy weapon. Make 300 kills with auto turret. This one is going to take a while because you have to watch after turret as well as make sure it kills enemies. The best bet would be bringing your own auto turret rather than crafting one while inside the salvage missions, unless you already know what materials you need and where they are located. Make 300 kills using defense units. Defense units are objects which damage enemies upon contact, for example barred fences. Use "Foot press" ability on 50 wanderers (armorers will work as well) and stuck 'em on the barricade. You can unlock barricade as a random drop recipe during co-op. Wanderes do not have to be killed with foot press skill, just stuck on the barricade. Miscellaneous achievements, this list concludes all other achievements. Hunt down your first animal. There are 2 sheeps near the base as soon as you reach Dite base. Make sure you collect the meat they drop as well! Cook your first meal. Every animal you kill will drop meat (guaranteed drop) as well as possibly some other items (which are obviously rarer drops with different rarities). Just cook any meal. Harvest your first corps. Obviously, before you can harvest, you need to plant food. To plant food, you will first need to find the type of food/plant which can be planted. Check under your construction table- thing under the section "Resource facilities". Note: it will take some time before planted food grows. You will most likely plant the potato first, since it can be found as soon as you enter the Dust for the first time as a random loot. Use Revival pill for the first time. Some of you might remember this item from MGS3. It does pretty much what the title says, it brings you back from the dead. In order to use the pill, you will have to either craft it (not very likely since it requires some legendary items) or take it out of inventory (you should already have 3 or 5 in your possession as soon as you start the game). Simply get killed and consume the pill when asked to do so. This achievement becomes available as soon as your exploration team gets established. You will need to send one member of the crew on a mission (most likely Reeve). Just equip him with the weaponry you won't use and meds to increase his chances of survival. Once he finishes the mission, simply check the exploration camp and accept rewards. Voila. This achievement becomes available once you reach Africa (the second "world"). In this area, all the locked chests are medium/hard difficulty. You will have to successfully open a hard lock without crunching or breaking it open. You can easily do this near wormhole transporter 04. If you fail to unlock the chest flawlessly (making it crunch), just leave lockpicking screen and try again. I can confirm it doesn't have to be in a single attempt. The description is tricky, as it says you have to defend the base with no loss. As of this moment, it is unclear what the requirement for this achievement is. During the post-game invasion (once you establish the digger in your base), you most likely have to protect the base without anything getting destroyed. During the final mission, protecting archaea blades without them taking any damage will unlock you this achievement as well. Note: Seth and Lord of Dust are not counted towards this. There is a difference between "Boss" and "Boss creature", Seth and Lord of Dust are "bosses" while the others (which are required for this achievement) are Boss creatures . They are counted as a side ops, therefore you can find their location on the map as a red circle saying there is a powerful enemy in there. Considering this will be available only once you have cleared the game, this achievement is considered unmissable. 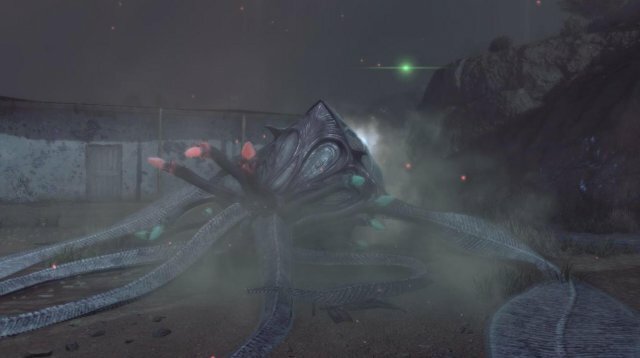 Update: It is now oficially confirmed there are only 2 boss Creatures unless they add more in the future. Those creatures are Big Mouth: Level 43 and Frostbite: Level 50. Kill Big Mouth to unlock Frostbite! Screenshot of how Boss creature's location will look like on the map. Big Mouth is probably the first Boss creature you will encounter. 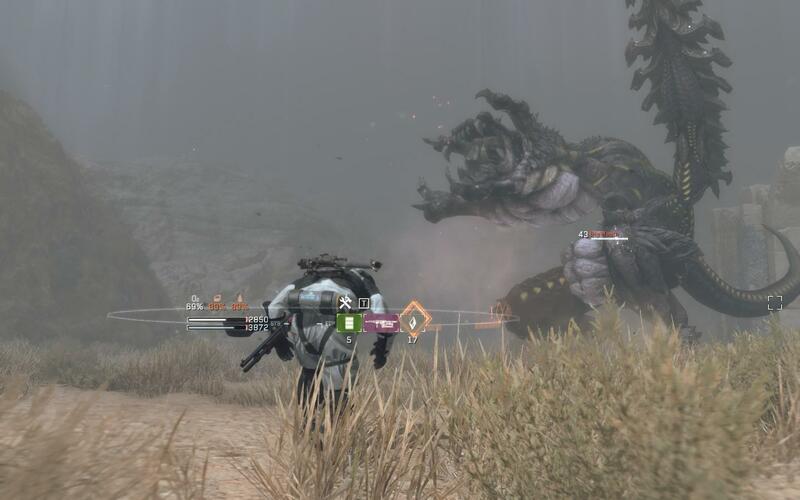 As far as I've seen, this boss creature seems to always be close to player's level, making him one of the more favorable boss creatures to fight. Before you fight him, I would suggest throwing a crystal shard to lure all the wanderers one one spot and kill them with a molotov cocktail or other throwable which won't deal a lot of damage. Once the area is purged, reload your guns, put on the glasses and hope nothing will go wrong (Berserk reference, anyone?). He has 3 different battle phases: Gunner, Melee, Resting. During the gunner phase, he will grow one additional arm which works like a machine gun. With an entire legendary set (unupgraded/no perks) he deals about 500 damage per bullet. This one can be avoided easily by hiding behind a pillar. Once he exhausts all the ammo, his hand will shrink and he will be stunned for a few seconds. This is the perfect time to strike. Keep in mind his head and most of the body is armored, so keep attacking his flesh - throat,belly and his nuts. Hitting either of those will be a critical attack. During melee phase, he will be using a long blade which is better avoided than confronted in any possible way. Note: As of patch 1.02, pillars do not protect from his blade attack, making hiding completely pointless because his blade ignores any object on its' way. It deals about 3000 damage so DO NOT BOTHER HIDING FROM BLADE . During Melee phase he will also keep running towards you a lot. Obviously, during this phase, just keep your distance and throw throwable stuff. If you are playing as a scout, putting down 3 auto turrets will absolutely obliterate him, I reduced his HP by cc 50% in about 2 minutes, too bad he took down turrets. During the resting phase, he will just slowly walk around, doing tail attacks and biting. When he is about to make a "bite" attack, place down explosive barrel for BAD MEAL achievement. During all 3 of his phases he will be in able to puke debris at you so you better keep at least 50% of stamina at all times for dodging. Once you get the best of him (shouldn't be hard at all, really, this one wasn't troublesome) you should get 2 epic cases (1 weapon and 1 gear). Make sure you prepare food in case this battle lasts longer than expected. Location is shown on the upper screenshot. Frostbite is one really tough motherf*cker. He is insanely hard, especially if you keep in mind he will be red skull-ed enemy for pretty much everyone who encounters him at the first. He has incredibly high HP and his armor isn't forgiving. This encounter is impossible without decent guns, turrets, emplaced mortars, emplaced heavy machine guns, C-4 and other throwables. Why? Minigun (focused): He will focus 3 out of 8 tentacles (their tips are red, unlike 5 others' blue end) on you, kind of "lock-on-target" thing and fire focused ice-elemented bullets at you. Minigun (spread): He will use this attack when you are too close, he will fire randomly his minigun covering 360° so better hide behind something because these pack a punch, even harder than Big Mouth did. Kamehameha: Ocasionally, he will use this move as a "finisher" blast. He will fire at you a blast of some sort (kamehameha alike) which deals enormous damage, it will most likely instantly kill you. To make things worse, if you aren't caught in the blast (which he can move at will, so beware), if you are close enough to hitting area, you can contract frostbite abnormality, reducing your movement speed. Once he finishes using this attack, he will consider you "eliminated" and will leave his combat phase. 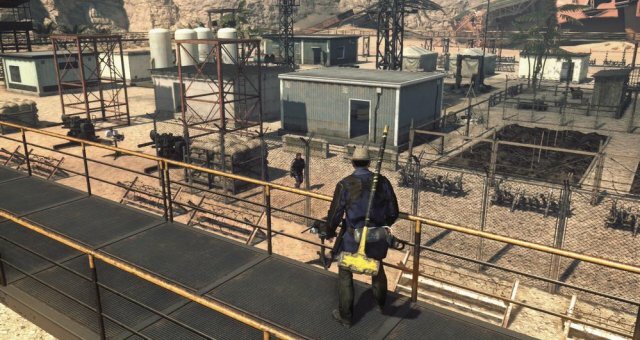 Icicle (focused): If you are hiding in a building or too far away from his reach (outside of house-area which he can't leave), he will do an icicle focused attack which will come from the ground, just like Skulls had an explosive rock from the ground back in MGSV: TPP. This attack is his second deadliest attack, also dealing frostbite abnormality and as far as I have noticed, it has 100% to cause one of the abnormalities other than frostbite. Icicle (path block): if you are out in the open on visible, he will instead of attacking you, create icicle on every destructable fence/door which you could use as an escape route, practically leaving you trapped inside his nest. This attack is pretty harmless because you most likely won't be anywhere near the icicle during the attack. He can be damaged only while being passive, not aggroed, which is kind of why his kamehameha attack is very important in this encounter. He has only one weak spot which is his head. His head has 2 different stances, there are many "holes" which he covers in particular order (from left to right, he keeps circling his armor). You will have about 3 seconds to damage either of the holes before he closes them and unlocks the other one. Attacking anywhere on his body will deal about 20% of damage, making it really a waste to attack anywhere else besides his weak spot. Obviously, your safest bet is spamming guns. Learn all the skills. This will require a lot of KUB as well as completion of the entire storyline for subclasses. This is the easiest to accomplish by spamming hard salvage missions. This achievement is unachieved so far as well. All that is known so far is that players have to obtain every recipe for gear. To unlock recipes, player has to unlock chests, find them on fixed locations and do exploration missions. Exploration missions show the rewards in the bottom corner so this achievement shouldn't be hard, regarding the difficulty of sending men at explorations. As of now, it is unknown whether color items (found in petrified boxes in Dust, usually unreachable with melee) are taken into account and if there is anything missable through the story mode. Survive 140 days and 15 hours without dying. Despite the fact of how hard this might seem, this achievement is really easy. The easiest and the fastest way to do this would be by harvesting and storing as much food as possible, turning it into rations so the food doesn't expire. Once enough food has been collected, the player should keep sleeping in tent until 140 days and 15 hours have passed. As of now, there has been no registered player to have unlocked this, therefore there are no current guides on whether there are any better methods to survive than this. This one is pretty simple, explore 100% on both maps. You can see the percentage of each map's exploration by checking "map". Simply go to all unexplored "squares" and simply go back in case there is nothing interesting. Beware that most of the game is still unexplored so better be cautious because no one knows what kind of creatures lie beneath the crumbled sky. Have 30 crew members at once. Deserters / killed members do not count, as for it has to be 30 alive members at once. Just keep doing missions as soon as Virgil gives you people's location. The player has to eat every type of food at least once. This means the player will have to serve dish on every possible *craftable* way. Note: as of now, there are 3 different types of animals. They can be small, medium or large. Their location is shown under side mission on map, marked with blue color. Make "Big mouth" boss creature eat (grab) the explosive barrel with his bite attack. During his bite attack animation, you should have about 4 seconds to place the barrel and dodge in any side. He will be stunned for about 10 seconds, so you better damage him during those free strike moments! Written by God Emperor Vran.